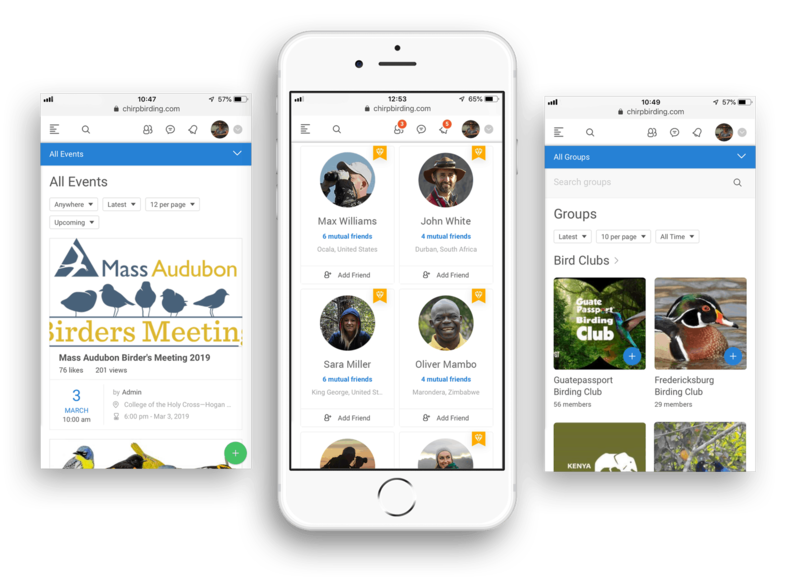 Find your friends, share sightings, compete with other birders, participate in birding challenges and view birding industry news and events. 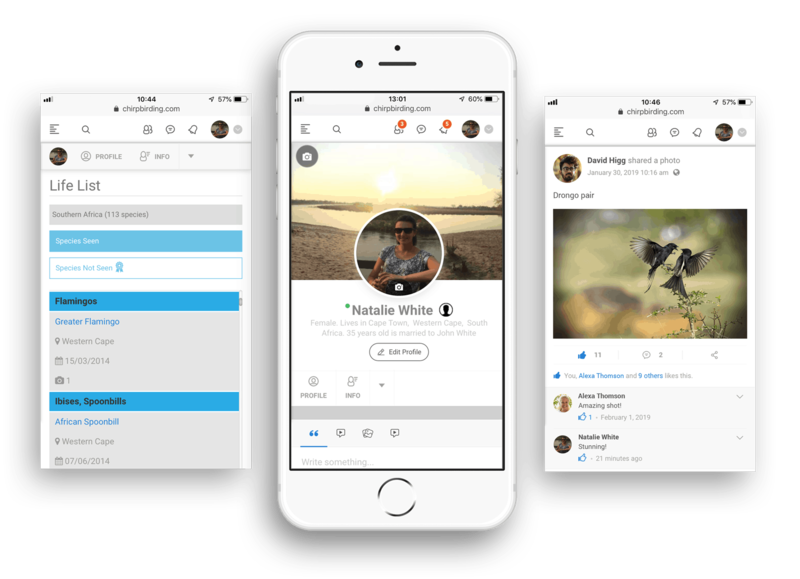 Chirp is the social network for birders. Share your lifers with birding friends, join groups, find events, read the latest birding news, embrace your community. Log your sightings and keep lists. Import historical sightings and export your data whenever you choose. Post videos and share photos of your amazing birding adventures. 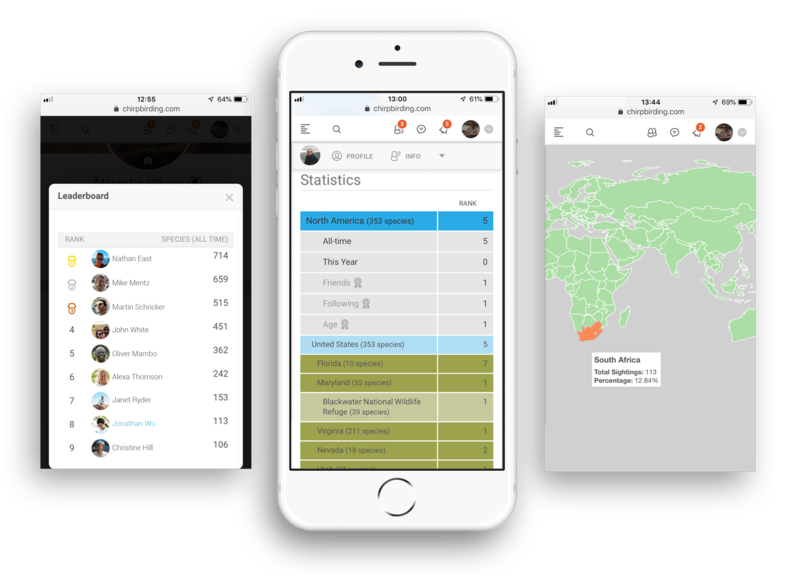 Use Chirp’s leaderboard feature to compare and compete with other birders across the globe. View and analyse those all-important birding stats. Watch this space...the Chirp app is coming soon!